Dubai, UAE, 17 October 2018: du, from Emirates Integrated Telecommunications Company (EITC), has announced it will partner with the Community Development Authority (CDA) to assist in the creation of Multi-tile dashboards to provide slick, quick and accurate insights for the CDA’s business activities. The CDA’s team needed to develop a Multi-tile dashboard to facilitate quick decision-making. One of the main concerns for the CDA was to have precise and relevant information published via dashboards to assist in important business functions. Seeking to address their dashboard requirements with the utmost care and priority, the CDA approached du and Dubai Pulse’s solution team who determined that the Dubai Pulse Business Intelligence Platform would best-serve the CDA’s digital requirements for a better UAE community. 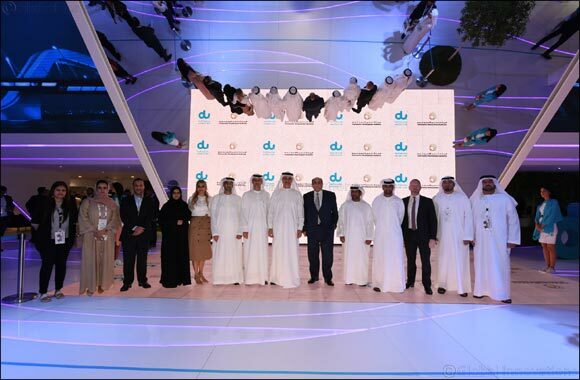 A dedicated instance of Dubai Pulse BI platform was carved out of the existing one and was hosted in the high performance IaaS cube dedicated to the CDA. This ensured a low cost and high performing platform for BI activities within Dubai Pulse’s highly-secure environment. Through its Smart Dubai strategic partnership, du is able to offer bespoke data solutions to key industries across the UAE, from government to finance to healthcare, in order to grow data possibilities every day.